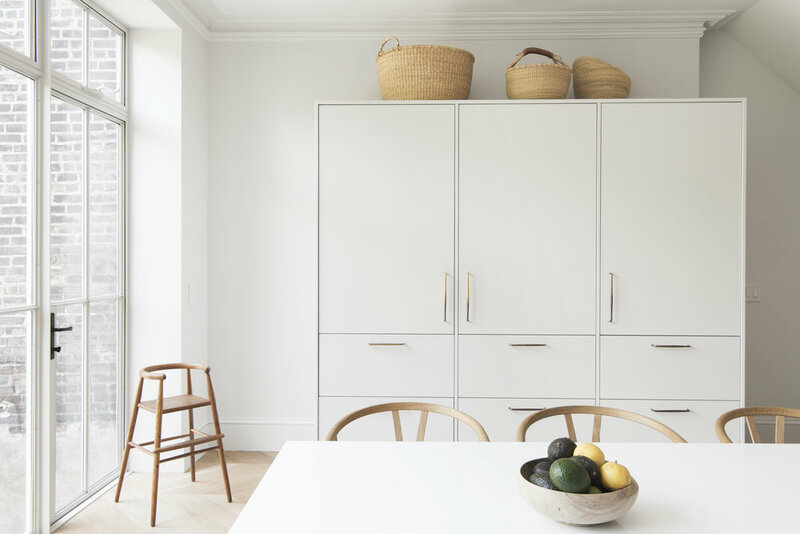 The Prospect Heights Townhouse is a 20-foot wide, duplex unit located on the bottom two floors of a Federal style house on a tree-lined street in Brooklyn. 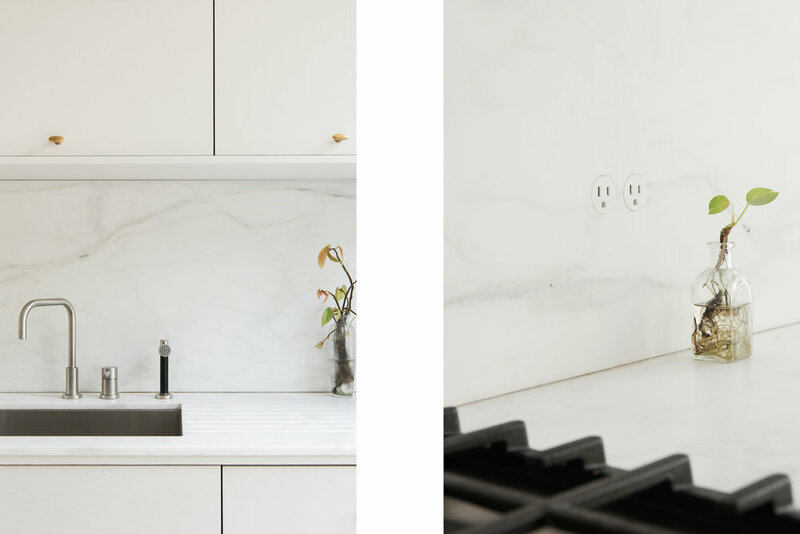 The project was a complete gut-renovation with all new heating, cooling, electrical and plumbing throughout. 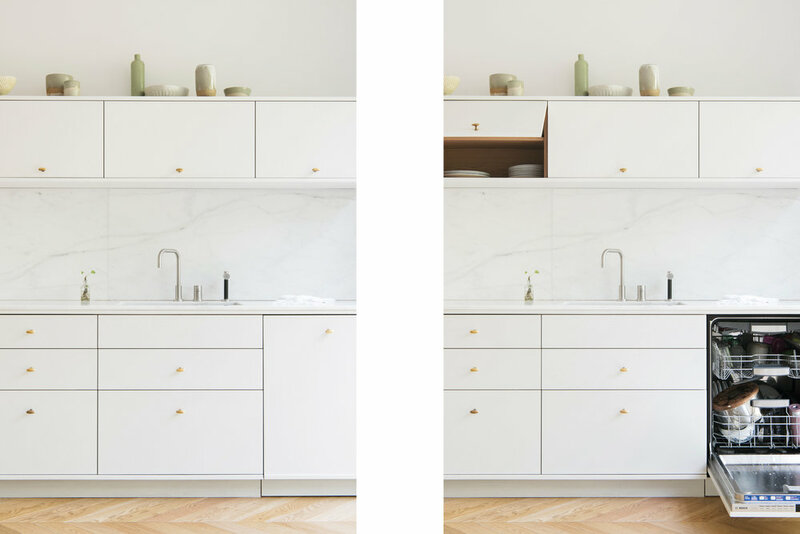 The kitchen is located at the rear of the open Parlor Level and is detailed with minimalist, solid oak, free-standing cabinets and recessed marble backsplash. 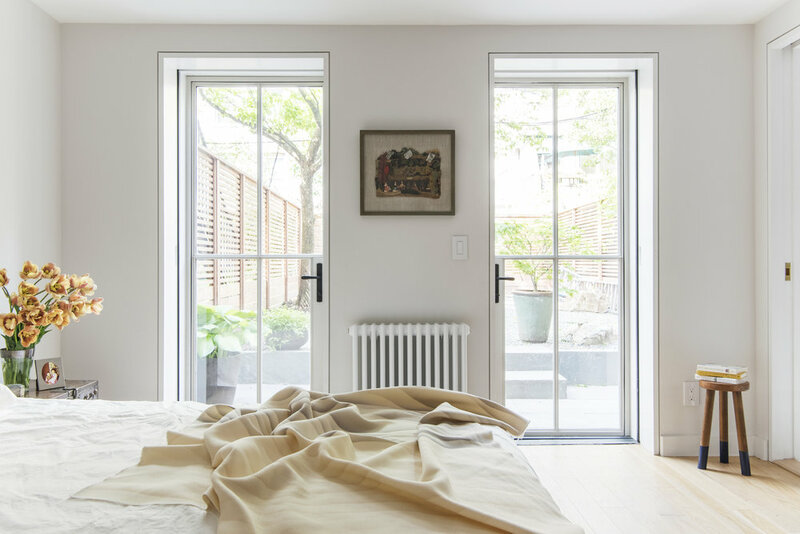 A large, custom, white, steel and glass wall of windows and doors was installed at the rear of the building to connect the Living Level with the serene garden at the rear of the house. 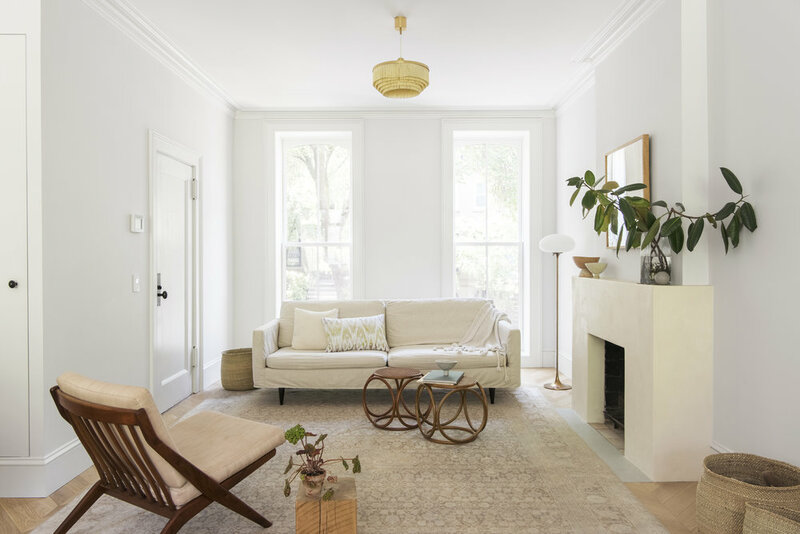 The Living Room is at the front of the Parlor Level and is minimally detailed with a tadelakt fireplace surround and white oak floors installed in a chevron pattern. The bedrooms and bathrooms are located on a completely reconfigured and extremely efficient Garden Level. The Master Suite is located along the rear wall facing the garden with white steel doors connecting the bedroom and the bathroom to the garden. The Master Bathroom is detailed with tadelakt walls, unlacquered brass fixtures and a custom, white oak, floating vanity. 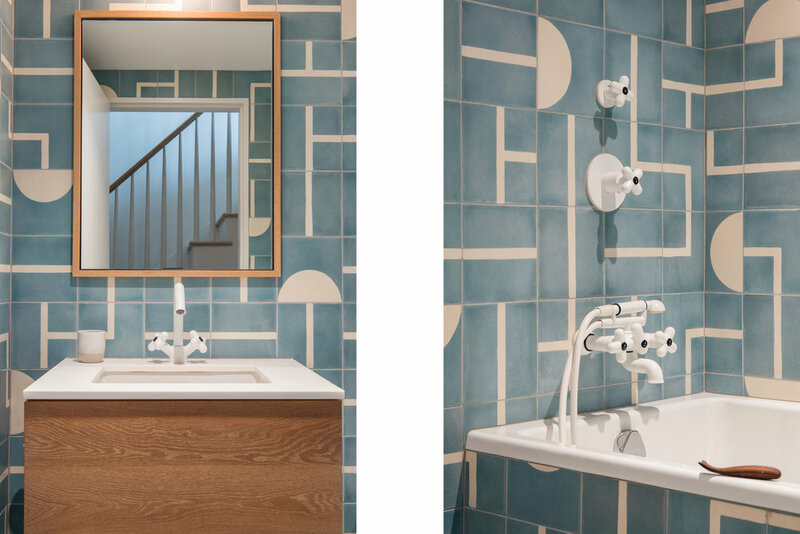 The Kid’s Bathroom is centrally located on the Garden Level with vibrant blue, patterned concrete tiles throughout and a custom, white oak, wall-mounted vanity.